The newest entry in the sizzling international thriller series featuring Nicholas Drummond, from #1 New York Times -- bestselling author Catherine Coulter. Their investigation, however, yields more questions than answers. It quickly becomes clear that the victim, John Pearce, was more than the naval historian and antiquities dealer he appeared to be. What Drummond doesn't know is that buying and selling rare books was Pearce's cover, and that he had devoted his life to discovering the whereabouts of a missing World War I U-boat concealing a stash of gold bullion, and an unexpected surprise that only raises more questions. When Drummond and Caine find both of Pearce's adult children have disappeared, the case assumes a new sense of urgency. 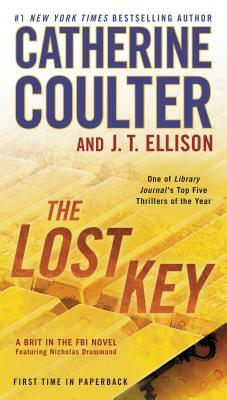 The FBI agents know their best lead lies in the victim's cryptic final words -- "The key is in the lock.” But what key? What lock?